The Moss is a large flat area between Ben Lora and Loch Etive. Also known as the Moss of Achnacree, the area to the south of the Moss. This 'lake dwelling' or crannog is at Ledaig Moss, near Benderloch in Argyll and Bute. 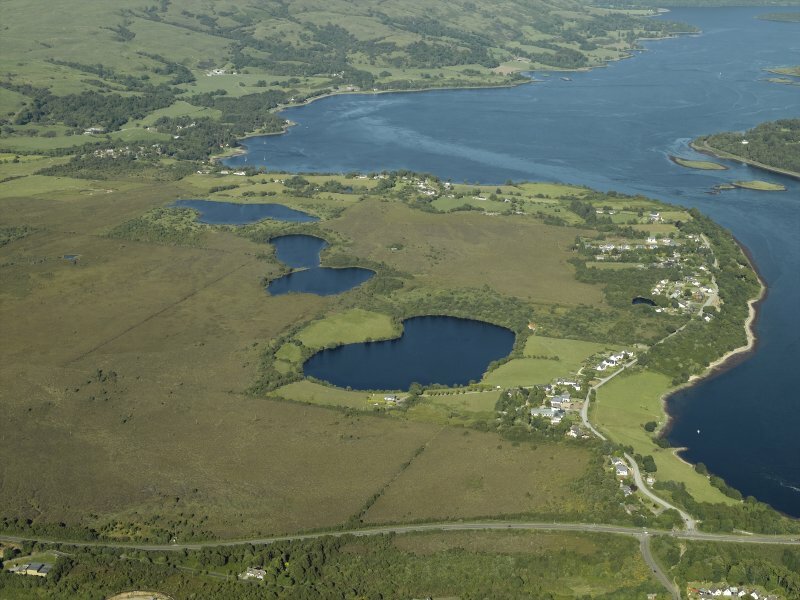 Crannogs were artificially constructed sites for a house or settlement. They were usually on an islet or in the shallows of a lake. Made of timber or sometimes stone, they date from the Late Bronze Age (around 1000 BC) into the Middle Ages. This crannog is still findable but somewhat buried in the light woodland beside the Moss road.